What Is the Homestead Exemption in Illinois? 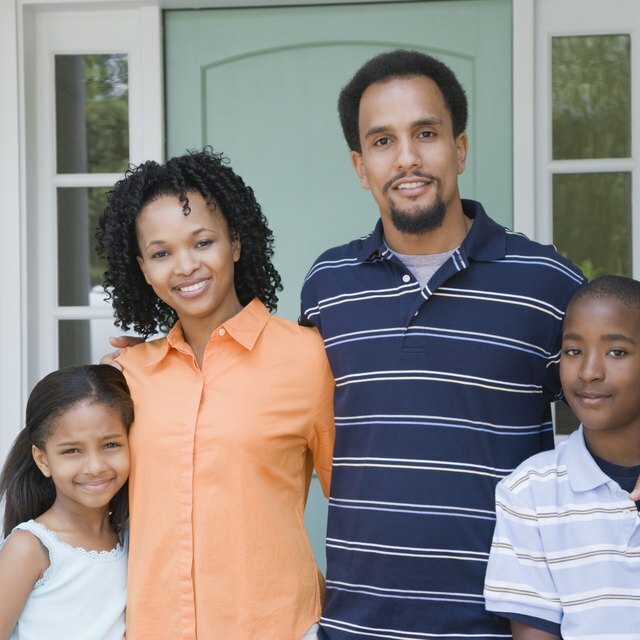 Illinois homestead exemptions benefit homeowners in general, and they provide extra protections for specific classes of homeowner. General and class-specific property tax exemptions work to reduce your annual property tax bill. The bankruptcy exemption protects the equity in your home during a Chapter 7 or Chapter 13 bankruptcy proceeding. In all cases, however, homestead exemptions only apply to your principal residence. The Illinois homestead exemptions can be used to reduce your yearly property tax bill, as well as ensure that you don't lose your home during a Chapter 7 or Chapter 13 bankruptcy filing. A number of homestead exemptions reduce your property tax bill by sheltering a portion of the assessed value of your home. In Illinois, all property tax exemptions are a flat dollar amount. The general homestead property tax exemption is available to all Illinois homeowners, but the amount of the exemption differs if you reside in Cook County. As of date of publication, the maximum general homestead exemption is $6,000, but if you reside in Cook County, the maximum exemption is $7,000. According to the Illinois Department of Revenue, the exemption applies automatically in some counties and requires a one-time application in other counties. A qualifying disabled homeowner receives an annual $2,000 property tax exemption. To be eligible for the exemption, you can't just be living in the home; your name must also be listed on the deed. In addition, eligibility rules also require an initial application and proof of the disability. The exemption must be renewed annually by filing a renewal physician’s statement. What Does Property Tax Exempt Code H3 Mean? The standard disabled veteran’s exemption is either $2,500 or $5,000, depending on how the Department of Veterans Affairs certifies your disability. As an alternative, if you're a disabled veteran living in a specially adapted home purchased or constructed using federal funds, the Disabled Veteran's Exemption Specialty Housing allows you to shelter up to $100,000 of the property's equalized assessed value. The Returning Veterans' Homestead Exemption provides a two-year, $5,000 reduction in the equalized assessed value of your property. Illinois seniors age 65 or older can claim a senior exemption of up to $5,000. Some counties require an initial application and renewal applications each succeeding year. Illinois requires that you use the state-mandated homestead exemption amount rather than follow federal laws. In Chapter 7 or Chapter 13 bankruptcy, the exemption protects up $15,000 of the equity in your home, or $30,000 for a married couple, as of the date of publication. Unlike with some states that require residents to file a homestead declaration to claim the exemption, in Illinois the exemption applies automatically. To be eligible, you must be listed on the property deed and meet the federal residency requirement that says you must have lived in the home for at least 40 months before filing a bankruptcy petition. In a Chapter 7 liquidation proceeding, the homestead exemption can save your property from seizure and sale. However, to accomplish this, the equity in your home must be equal to or greater than the $15,000 or $30,000 exemption for which you qualify. And your mortgage cannot be in default. For example, if you qualify for a $15,000 exemption as an individual homeowner but have only $10,000 in home equity, the trustee will likely seize and sell your home. However, the exemption can benefit you even if this happens, as federal laws says the trustee must reimburse you the amount of the exemption from the proceeds of the sale. In a Chapter 13 repayment plan bankruptcy, creditors can’t access the $15,000 or $30,000 of protected equity in your home. The less money creditors have access to, the less you’ll be required to pay each month as part of a Chapter 13 repayment plan. In some situations, the exemption can make the difference between whether you’re able to fund a Chapter 13 plan or not.